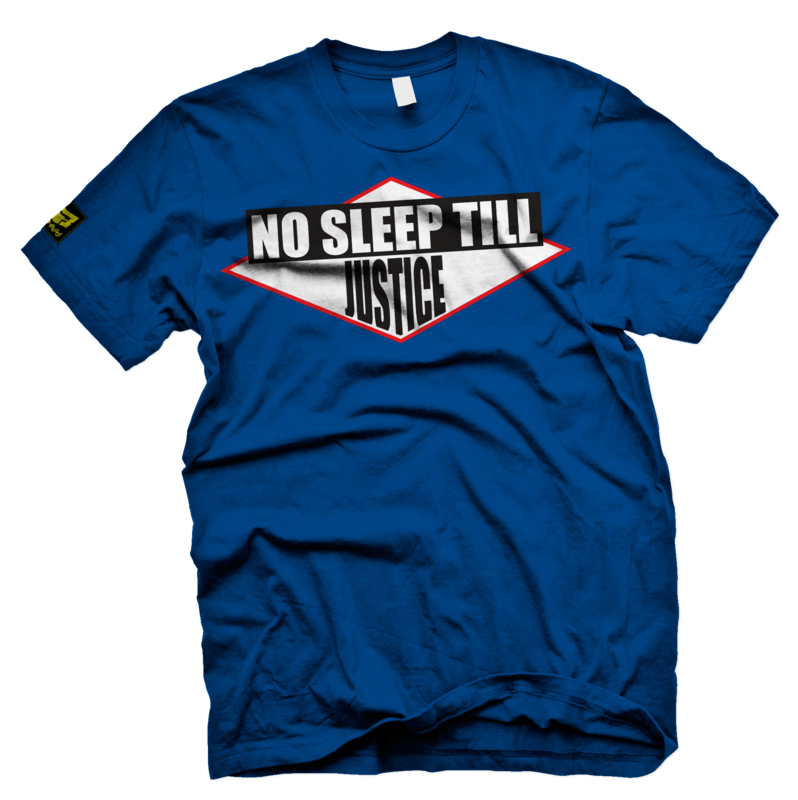 No sleep till justice. Inspired by the classic Beastie Boys logo this design pushes us to participate in the greatest movement on earth to bring justice to the masses. If only because as Martin Luther King said Injustice anywhere is a threat to justice everywhere. All colours are for guidance only. Garment colours may vary.